Amateur archaeologists have discovered a lost Roman road in England’s northwest countryside by using maps provided by the Environment Agency (EA) for assessing areas at risk of flooding. The maps were created by aircraft equipped with laser scanners, a method used by the EA to map England's landscape for decades. The data, however, has only been freely available to the public since 2013. Now a group of amateur archaeologists have uncovered a “new” Roman road, about 23 miles in length. 70-year-old David Ratledge told The Times the road in Lancashire is the first ancient Roman road to be rediscovered in 150 years. "With the help of Lidar, we finally discovered that they had taken a very sensible and economical route via Longridge and Inglewhite to Catterall, near Garstang,” he said. “It is a wonderful feeling suddenly to solve a puzzle you have been working on for decades." Yup, had to share this. It is not cute or full of wisdom, but amazing. A Roman road. It was long believed there was a Roman road linking Ribchester to Lancaster as they were the county’s most important Roman sites. However, archaeologists spent decades searching in the wrong place, basing their area focus on the fact Romans tended to take the shortest route from place to place. Ratledge said the newly discovered road is remarkably clear in several sections and is baffled that no one spotted it before: "How nobody - me included - spotted it is a mystery. 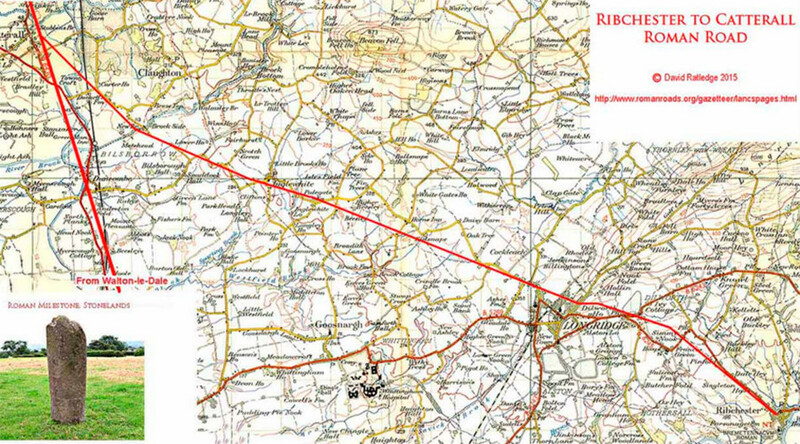 The distance to Lancaster from Ribchester by this 'new’ road is about 23 miles." Finding 'lost' Roman roads in Lancashire with LIDAR. Ribchester is the location of a Roman cavalry fort called Bremetennacum, some parts of which have been exposed by excavation while Lancaster is home to a Roman bath house and Wery Wall. The discovery is unlikely to have happened without the use of Lidar technology, which can detect raised ground with such precision that it is more effective than the human eye for tracing the route of a road, especially across long distances. It is probably most famous for revealing the lost Cambodian city of Angkor. The Environmental Agency is expecting more discoveries in the future, thanks to Lidar and open data crowdsharing.